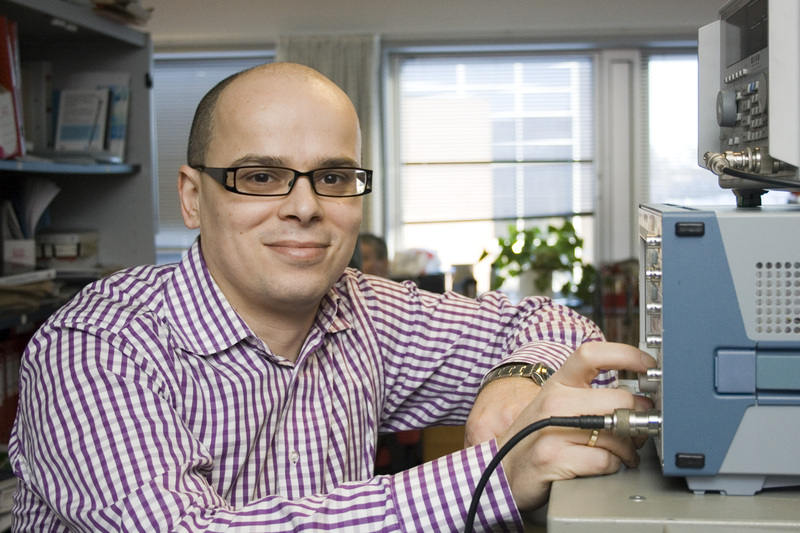 Significant contributions to research on wireless communication and technology ensures Professor Petar Popovski, 42, of Aalborg University the international engineering association’s highest recognition "IEEE Fellow." The title is reserved for a select group in the worldwide engineering organization IEEE (Institute of Electrical & Electronics Engineers) which has more than 400,000 members in 160 countries. Petar Popovski joins this exclusive group as recognition of his innovative research that ranges from basic communication theory to system-level concepts for the 5G networks of the future. For instance, his pioneering work in network coding helps pave the way for more efficient use of resources among devices that communicate with each other wirelessly. Officially, his IEEE Fellow title recognizes him "for contributions to network coding and multiple access methods in wireless communications." Originally from Macedonia, Petar Popovski earned his Master of Engineering degree in electronics and communication technology at Ss. Cyril and Methodius University in Skopje in 2000, before joining Aalborg University’s Department of Electronic Systems where he earned his PhD in 2004. He is a professor and head of a research group in machine-to-machine communication (M2M) and has over 230 scientific publications in journals, conference proceedings and books. He is also involved in more than 25 patents and patent applications, and he has received the European Research Council’s Consolidator Grant as well as the Danish Council for Independent Research’s "Sapere Aude" Research Talent grant. Petar Popovski has been an editor for several of the IEEE's scientific publications, served as Chair of the organization’s Emerging Technology Committee on Smart Grid Communications, and is currently a member of its steering committees for Smart Grid Communications and for the Internet of Things Journal, an emerging concept where the billions of devices, sensors and measurement equipment will eventually automatically exchange information. Other AAU researchers who are IEEE Fellows are: Professors Frede Blaabjerg, Remus Teodorescu and Josep M. Guerrero at the Department of Energy Technology; Professor Christian S. Jensen at the Department of Computer Science; Professor Ramjee Prasad and Professor Emeritus Jørgen Bach Andersen at the Department of Electronic Systems where Petar Popovski is also located. IEEE is one of the world's leading professional associations for advanced technology. With 400,000 members in 160 countries, IEEE is an authority in a number of areas ranging from aerospace, computers and telecommunications to biotechnology, electricity and consumer electronics. IEEE publishes 30 percent of the world's literature in the fields of electricity, electronics and computer science and has developed over 900 active industry standards. The association sponsors or cosponsors almost 400 international technical conferences each year. Learn more at www.ieee.org. Worldwide, 7113 persons can now use the title IEEE Fellow. Of these, 297 of them were welcomed into the group in January including Petar Popovski of AAU. Learn more about IEEE's Fellow program and view statistics and a list of members. Petar Popovski (download photo), Professor, Department of Electronic Systems, AAU, Tel. +45 9940 8727.